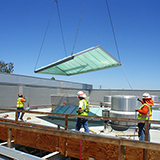 CPI Daylighting, a Kingspan Light + Air company, is an award-winning innovator of translucent daylighting technology for high-performance building envelopes – walls, skylights and canopies. 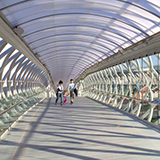 Since the 1980s, we have remained committed to raising the standards for daylighting design. We team up with architects and designers to develop solutions that will enhance and optimize the role that natural light plays in the design of their buildings and inspire them to push the envelope. As expert problem-solvers, we leverage our knowledge and expertise to serve as the leading daylighting consultants for the architectural community and building industry.